Trailer for upcoming Malaysian/Hong Kong film "Mrs K"
Mrs K is an upper class housewife. She also appears to be a beautiful and quite elegant, middle-aged woman who is mainly focused on cooking and parenting. But in a sudden turn of events she shockingly exposes her excellent fighting and survival skills. The urbane, yet cold spaces captured in the film manage to visually stress the threatening situation she has fallen into: she is blackmailed by an ex-cop from Macau while her teenage daughter is being kidnapped by a young couple. As a result, the mother and the daughter, both being trapped in such a life threatening situation, they righteously manage to come out as a pair of brave and strong women. Kara Hui, who plays Mrs K, has enjoyed a lengthy and quite impressive career. 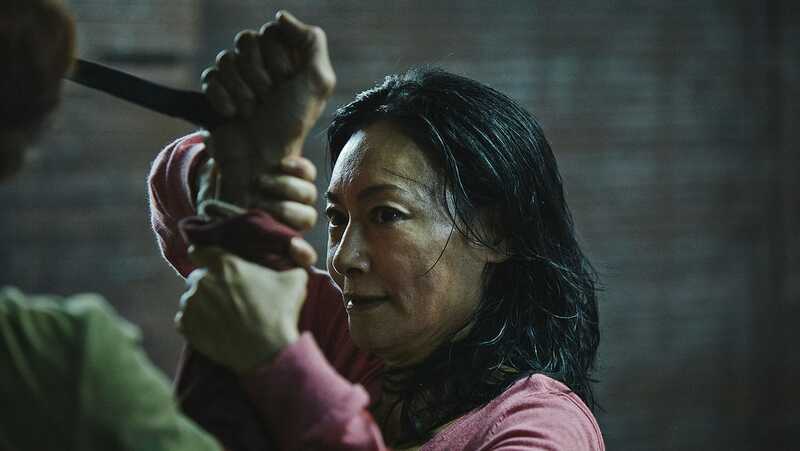 Ever since the acclaimed director Lau Kar-leung discovered her talent, she has participated in numerous martial arts films, building up her reputation as a 'martial arts queen'. In 2009, she had a career resurgence, thanks to her collaboration with Malaysian director Ho Yuhang in the nihilistic and downbeat drama "At the End of Daybreak". Hui received many awards for her performance, a fact which helped her to get back in the spotlight. "Mrs K" is their second collaboration. Lately, she also appeared in Fruit Chan's "The Midnight After", among other films. Although the trailer shows a lot of action taking place, "Mrs K" is coming out more as a crime drama rather than just a pure action flick. Asian Film Vault: Trailer for upcoming Malaysian/Hong Kong film "Mrs K"